Do you enjoy throwing parties and entertaining guests in your home? If so, you definitely need a home bar. Even if you don’t drink alcohol yourself, many people do enjoy sipping on their favorite beverage when attending social gatherings, which makes it an important part of entertaining guests. Adding a bar to your home will make entertaining so much easier since you’ll have everything you need in one place. They also help to create a unique and exciting environment that will help set the mood for your parties. It’s just something special about sitting around a bar, listening to music and socializing with good friends. Not only will adding a bar to your home make entertaining easier, they also look elegant and with so many different styles available, it’s easy to find one that matches your décor perfectly. When you entertain a lot, you need a bar but make sure you choose the right one for your home. From elegant to whimsical, there are many beautiful home bar styles and designs available, so look around at your different options before making a final decision on which one to choose. You want to look for a style that you really like and one that will blend in with the rest of your décor. You also want to consider size carefully. Determine exactly how much room you have for the bar and how many people you normally entertain and this will help you choose the right size. Our experts here at J. 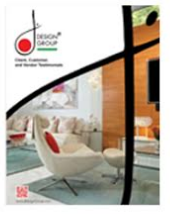 Design Group are also available to provide you with more information and to offer advice that will help you find the best bar style and size for your home. Once you have your home bar installed, it’s time to stock it so everything will be ready for your next party. Unless you have bartending experience or you plan to hire a bartender each time you entertain, only buy alcohol and mixers that you know how to make well. Having a wide variety of drinks on hand may be impressive but if you don’t have anyone to mix the drinks properly, it can hinder the overall experience. It would be much more impressive to have a smaller selection of fine alcohol that you enjoy drinking yourself and that you know how to mix properly. While offering drinks to your friends during your social gatherings can make your parties more fun and exciting, you still need be a responsible host. Make sure your friends get home safely at the end of the night. Keep a wide variety of non-alcoholic beverages on hand for designated drivers. You can also collect car keys at the beginning of the party, so you can evaluate the condition of your friends when handing them back at the end of the night. If anyone is too intoxicated to drive, call a cab or offer them a place to sleep for the night. Having a home bar is impressive and they make hosting a party so much fun. However, being responsible and making sure all your guests are safe is part of being a good host and your friends will thank you for looking out after them.